"The king of musical satire." / "The Hall of Fame parodist." "In 1992 'Weird Al' Yankovic blessed Nirvana with damn near the only honest rock criticism they ever received." 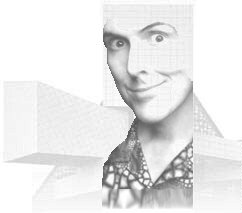 Welcome to the official web site of Make the Rock Hall "Weird," the first and only grassroots campaign to get "Weird Al" Yankovic inducted into the Rock and Roll Hall of Fame for his career as the genre's premier satirist. Organized solely by fans, we have put together a number of campaign drives and projects that have garnered international support and attention. We invite everyone to join our campaign. Help us secure a very funny person's very serious place in rock and roll history! Sign and forward our new online petition! For every 500 signatures received, a tree will be planted in a part of the world that sorely needs one! Write to the Rock Hall and urge them to induct Al! Questions? Ideas? Comments? Concerns? E-mail us at "rockhall" at "allthingsyank" dot "com." Please make your e-mail subject clear and to the point in case we need to weed it out of our spam filter. Thank you! 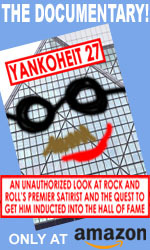 This grassroots campaign is not officially sponsored or endorsed by Al Yankovic or Imaginary Entertainment. Although Al's management has given us an encouraging thumbs-up, this is being organized and produced solely by fans. Furthermore, this campaign is not affiliated in any way with the Rock and Roll Hall of Fame or its foundation...duh. 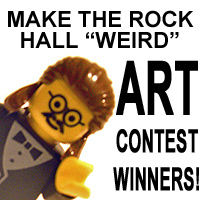 MAKE THE ROCK HALL "WEIRD" and all related logos, slogans, and imagery are trademarks of Catra-Dohtem, Inc. Online and we ask that they not be copied or reused without our expressed written permission.